BBC has just released a new logo design and poster artwork for Doctor Who season 11. Following the Christmas Special debut of Jodie Whittaker in the titular role, the 55-year-running series about a time and space-traveling alien will return in the fall, and its new logo appears to be ushering in the future, while also nodding to the past. Doctor Who is one of the longest-running television series in history, debuting all the way back in November 1963. Throughout its run, the show has shuffled through over a dozen different actors as the eponymous Doctor, over 50 companions, and about 12 logo changes (not counting minor seasonal tweaks). The upcoming season will arguably be one of the show's most progressive, casting its first ever female lead in the role of the Doctor, and the updated logo designed by creative agency Little Hawk is appropriately modern. To introduce the new logo - which has a similar fiery color palette as the logo used between 2005 and 2010 - BBC released a 16-second video showcasing the TARDIS traveling through time and/or space (see the clip embedded below). The overall tone of this mini teaser is distinctly dark and mysterious, but there is little in the way of plot details. Fans might speculate as to whether or not that ruby-colored asteroid field may or may not be remnants of the Doctor's home planet Gallifrey, but the odds of that being the case are too thin to officially consider. 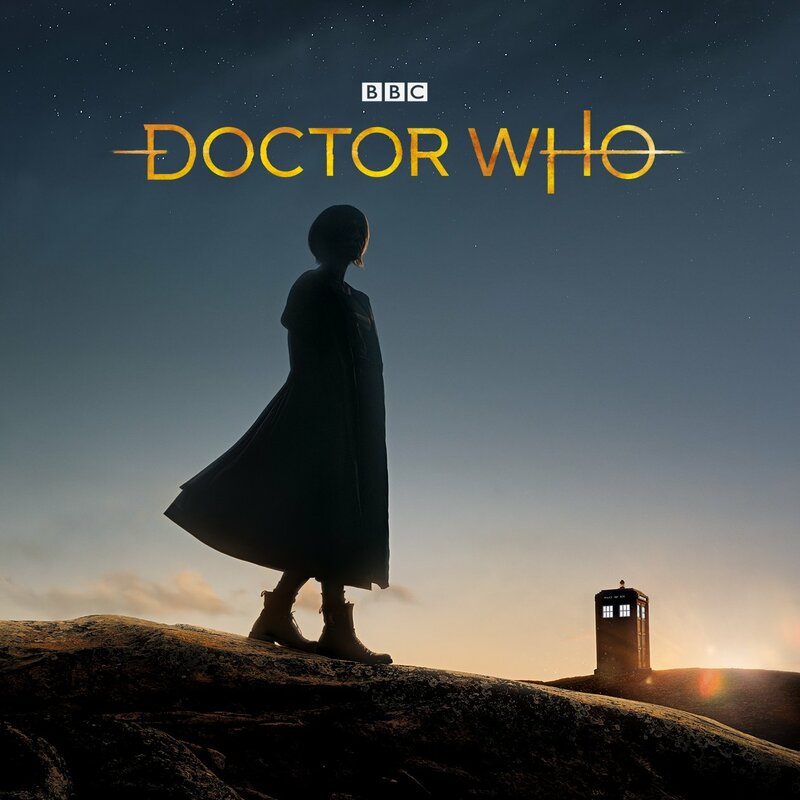 Along with the new logo and video is a brand new poster as well, displaying a silhouette of Whittaker's 13th Doctor in the foreground with her TARDIS parked in the background. Showing off a hilly landscape beneath a starry evening sky, this poster may well be hinting at things to come in season 11 (though vaguely at best). Seeing as the TARDIS disappears at the end of last year's Christmas Special, the distance between the Doctor and the TARDIS may be implying that the Doctor will embark on a journey to find and reconnect with it. This also ties into Jodie Whittaker's initial reveal video from last year, wherein she approaches the TARDIS in the middle of the woods as the TARDIS key appears in her hand. While it's unclear whether or not this journey would last the duration of the entire season or just the first episode (if at all), this wouldn't be the first time the Doctor has been landlocked. Jon Pertwee's third Doctor spent his tenure on the show on Earth on account of being exiled by the Time Lords, so instead of traveling through time and space, he worked as an unpaid scientific advisor for the Unified Intelligence Task Force (UNIT). Doctor Who season 11 premieres sometime this fall.